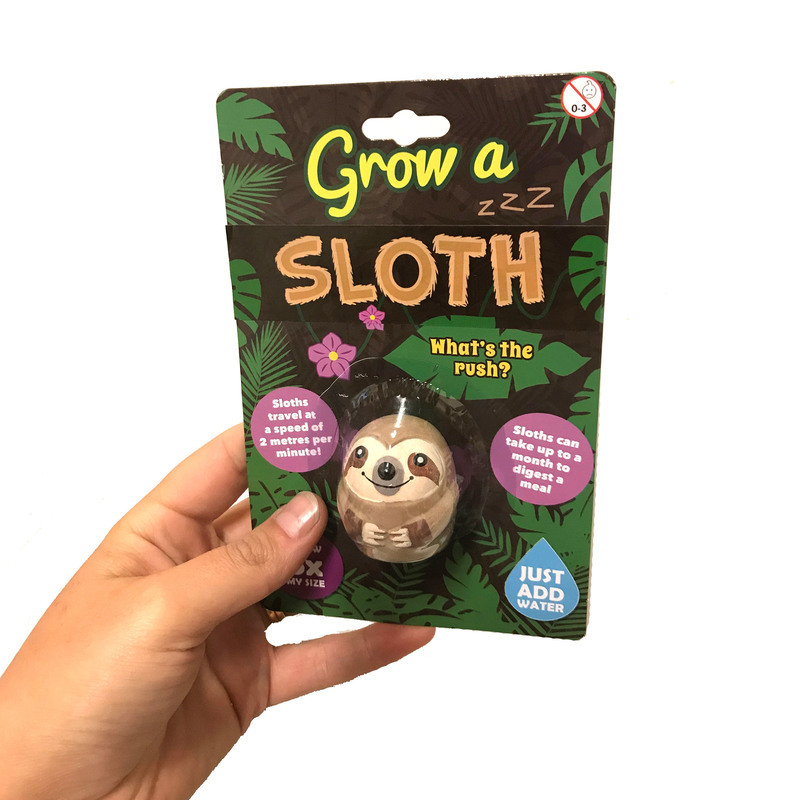 Grow a Sloth | What's the rush? Wouldn't it be cool to bring home an exotic pet? One that is friendly, cuddly and downright adorable?! Well, if you're a pet enthusiast, you may have considered a Sloth as a pet. They're calm, slow-moving and can live a vey long time! Of course, they don't live in Australia, and well, they require lots of trees and special dietary needs. So why not grow your own less demanding Sloth, simply by adding water! It does take 72 hours to grow to it's full size, but what's the rush? Place your sloth in room temperature water and watch him grow! 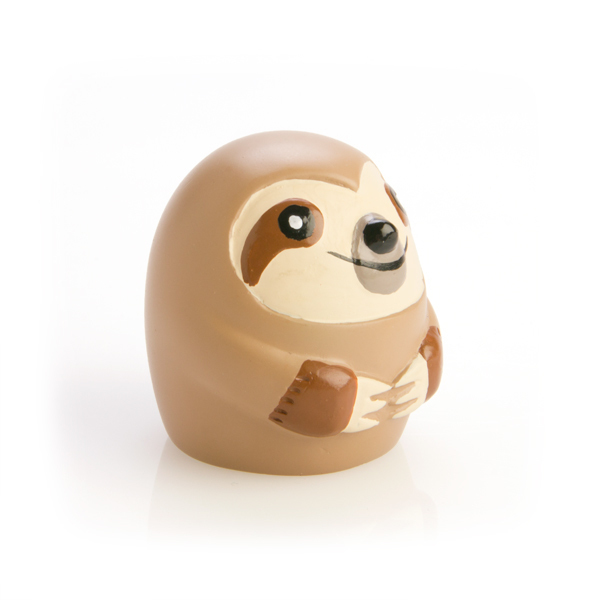 Your sloth will start to grow within 2 hours and will be full size in 72 hours. When removed from the water it will shrink back to its original size. 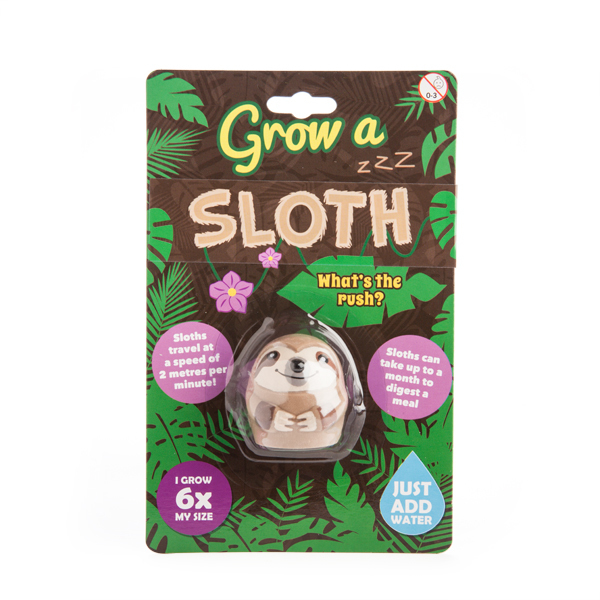 You can grow your sloth again and again! Starts off at a miniature 3.5cm tall and 3.5cm wide. My 12 year old grandson absolutely loved this and watched it grow with fascination. The excitement when it reached full size was hilarious. A great hit.